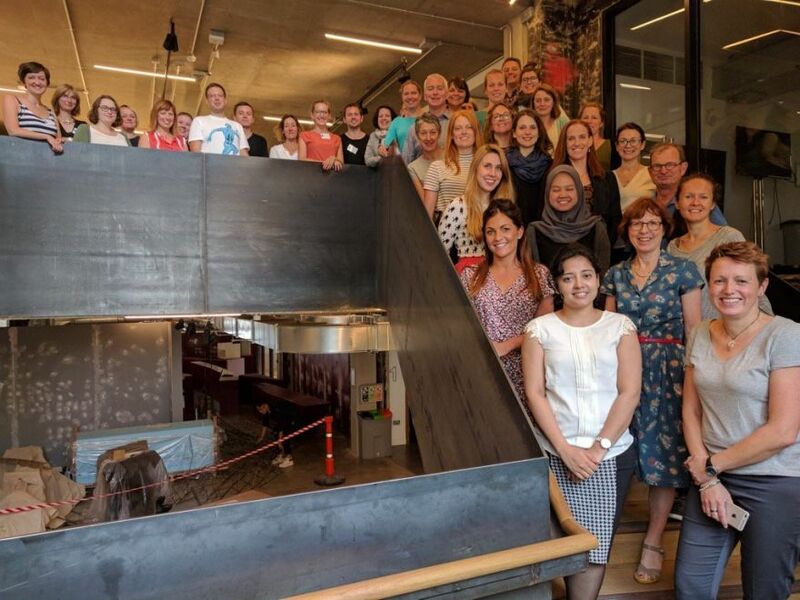 Several Human Behaviour-Change Project (HBCP) team members were involved in the recent Centre for Behaviour Change (CBC) Behaviour Change Summer School, a five-day course teaching the principles of behaviour change and intervention design. The first week took place between 31 July and 4 August with around 40 participants from over 10 countries. A further set of participants attended the second round of the summer school between 14 August and 18 August. This cohort of summer school graduates will join a group of over 140 previous graduates from the past three years. This year’s summer school was attended by a diverse international group including policy makers, researchers, practitioners, students and project officers/managers from organisations ranging from non-profits, government bodies and universities to start-ups and commercial companies. Although they were a mixed group background wise, the participants all shared a common goal; to gain a deeper understanding of a practical framework, such as the Behaviour Change Wheel, to help them to solve their own specific behaviour-change challenges. The course included several talks covering the principles of behaviour change, and discussion groups giving participants the opportunity to take an in-depth critical look at real-life examples. Participants also took part in daily tutorial groups where they were able to work closely with a behaviour change expert in order to apply their learning to their own specific areas of work. The challenges to be addressed ranged from behaviour change initiatives for child health and nursing to interventions to improve citizen engagement with the state. "Participants gained a lot from the school and by the end of the week they felt more confident to defend the use of a systematic approach to behaviour change, such as use of the Behaviour Change Wheel framework, to promote more effective interventions". In addition to the training programme, daily lunchtime walks were led by CBC researchers including Dr Emma Norris (HBCP team) allowing participants the chance to see the local area. This included a trip to visit the famous stuffed remains of Jeremy Bentham, a 17th century English political philosopher, in UCL’s main building. “This year’s summer school has been a huge success and we have seen a much more diverse and international group than in previous years. Participants gave excellent feedback and it was clear that they grew in confidence throughout the week. We are looking forward to running the school again next year”. In addition to the week-long summer school, next year the team are planning to introduce a series of advanced short courses. The topics will be motivation (2 days), organisational change (2 days), digital interventions (1 day) and evaluation (1 day). These short courses will take place within a week so participants can choose to take part in one, two or three courses on a modular basis. Follow the conversation on twitter with the hashtag #CBCSummerSchool. Click here to hear about other UCL based short courses by signing up to the UCL Life Learning newsletter.